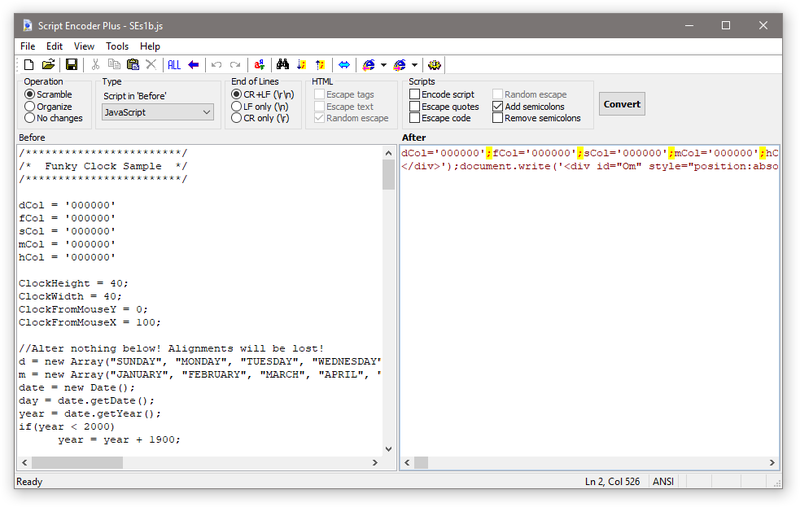 Obfuscation (or scrambling) of classic ASP files that may contain HTML markup, with VBScript & JScript blocks inside. 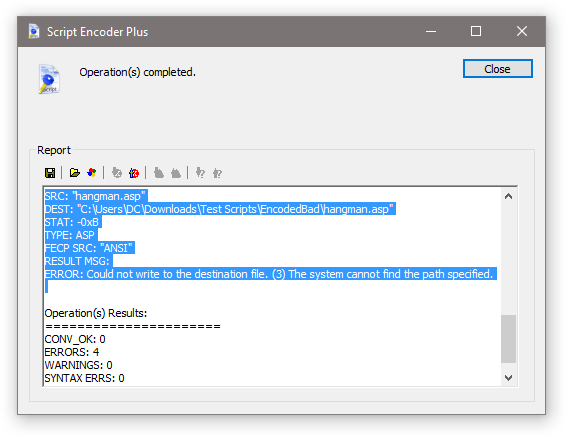 Script Encoder Plus fully emulates and surpasses the capabilities of the original Script Encoder, or screnc tool from Microsoft. 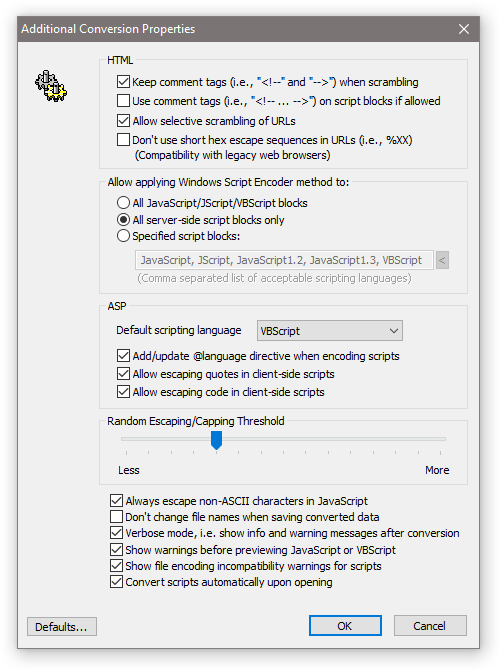 Minification, compression (reduction in size) of HTML, classic ASP, JScript, VBScript without obfuscation. 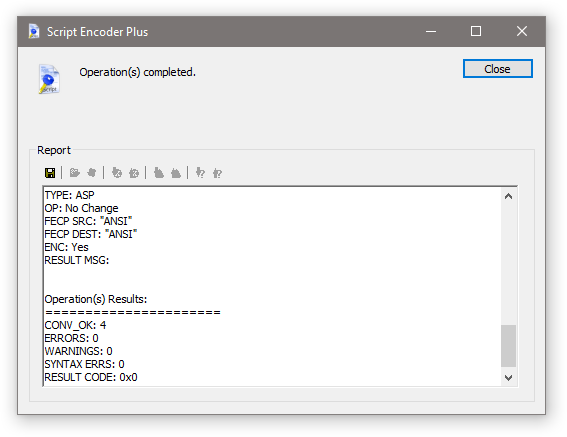 Flexible settings for obfuscation that allow to fine-tune levels of scrambling. 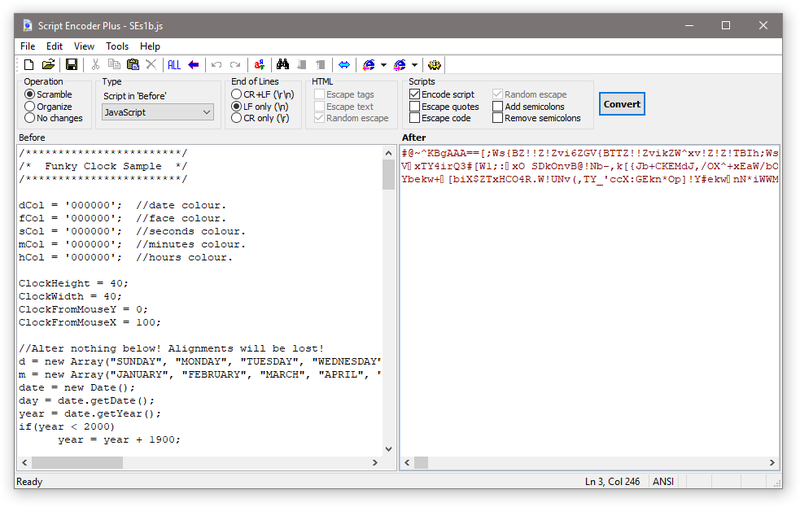 Runs with a GUI interface that allows to preview 'Before' and 'After' scripts to see the results of obfuscation and more. 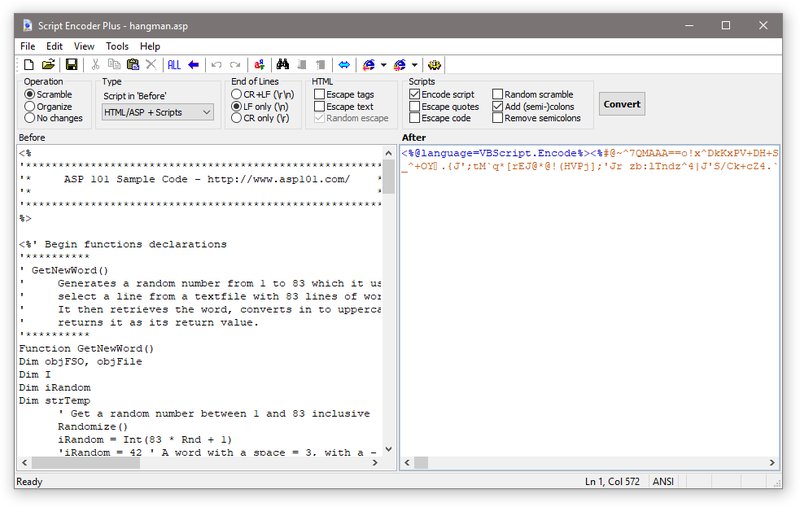 Ability to preview obfuscated page and compare it with original document. 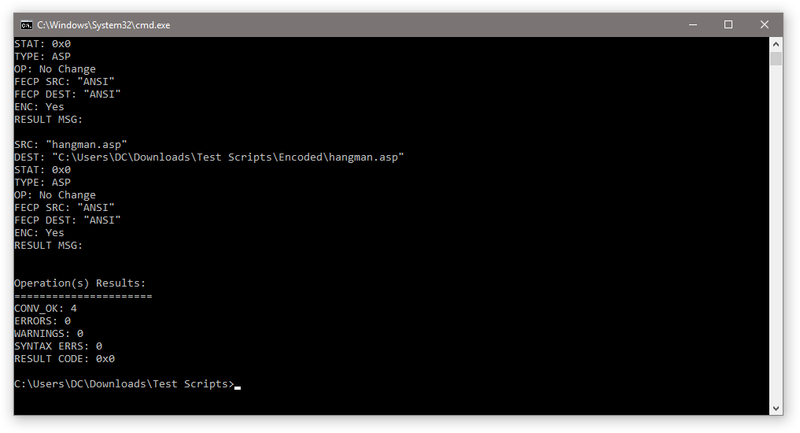 Special tools to locate parts of code between the original and scrambled scripts. 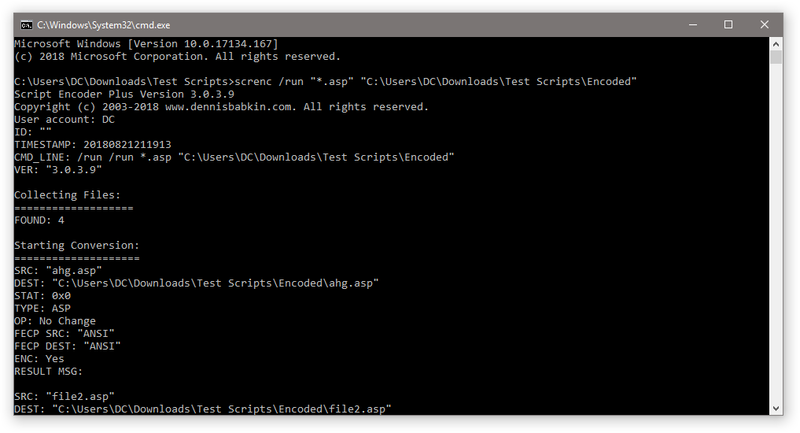 Scrambling of C/C++/MFC source code files into solid code chunks making them hard to view or edit. Support for built-in function to check correctness of JScript and VBScript code. 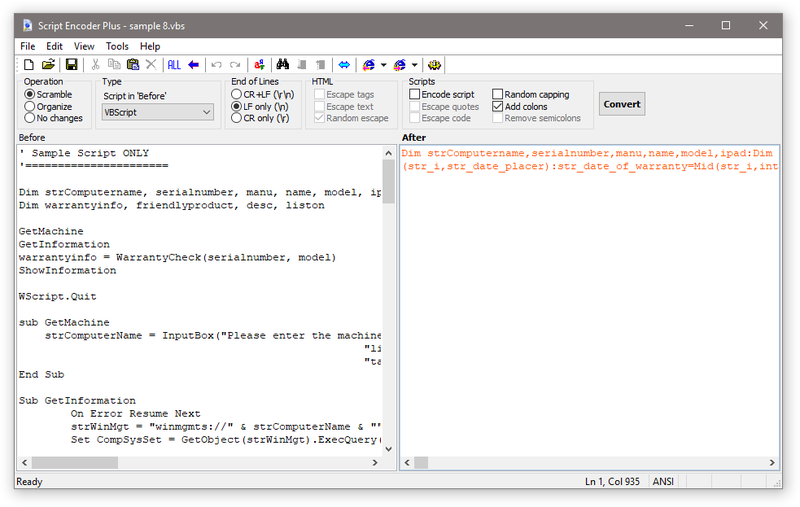 Ability to change code page and file encoding while saving a script. Command line support, for expansion of the GUI functionality. Support for batch conversion of entire folders using command line & more. What better way to learn more about a software than to see it in action? Operating System listed in compatibility section above. You may try this software for FREE during the trial period and decide if you'd like to purchase it. In the end of the trial period you will be required to purchase this software to continue using it, or to uninstall it from all computers that you ran it on. You can purchase this software license at any time before the trial period expiration. The purchase requires paying a one-time license fee. You are allowed to distribute the free downloadable demo of this software. You are NOT ALLOWED to modify or rename any parts of the demo package and/or its description; distribute it under different title and/or author's name; sell, rent or receive any financial gain from this software, as well as register it with unauthorized name obtained without making a purchase. The authors of this web site and of this particular software guarantee that this computer program does not contain any intentionally deleterious or harmful material that may somehow adversely affect your system. All software posted on this web site is custom-built computer programs that were designed primarily for our personal use. We test it for some time before posting it here. In spite of that and due to the fact that we are human, we do not exclude a possibility for this software to contain errors and unintended glitches that may present misinformation in programmatic sense and/or may temporarily affect your computer's stability. If such is the case, let us know through the feedback on this site and we will do our best to correct the problem and supply you with the latest update. And last, by downloading and using this software you agree to do so "as is" without any implied or expressed liability from the authors and/or distributors of this software. We promise that the installation package that you download from this page will not contain any adware, marketing toolbars, or other "nuisance" software not associated with the product described on this page.